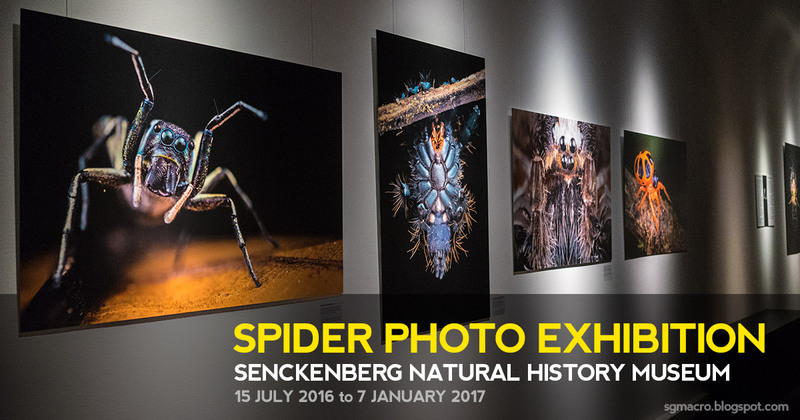 From 15th July 2016 to 8th January 2017, I will have a gallery of spider photos exhibited at the Senckenberg Natural History Museum in Frankfurt, Germany. 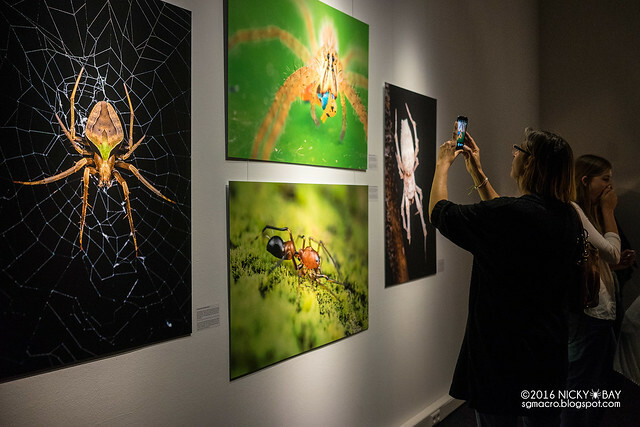 The Spider Exhibition or SPINNEN, which means "spider" in German, will also include almost 50 live arachnid exhibits by ARANEUS as well as numerous spider web art installations by Tomás Saraceno. 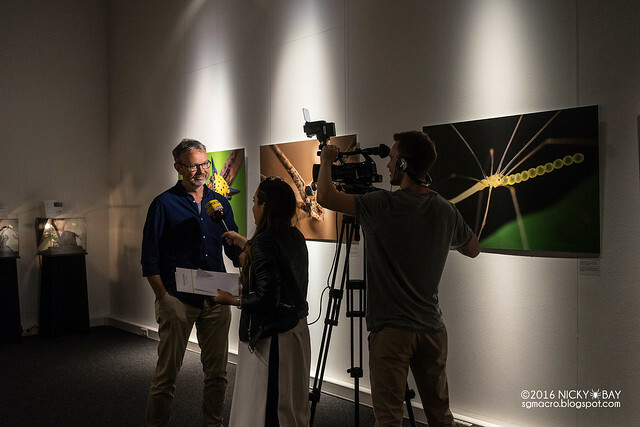 Don't miss the exhibition if you are around the region! 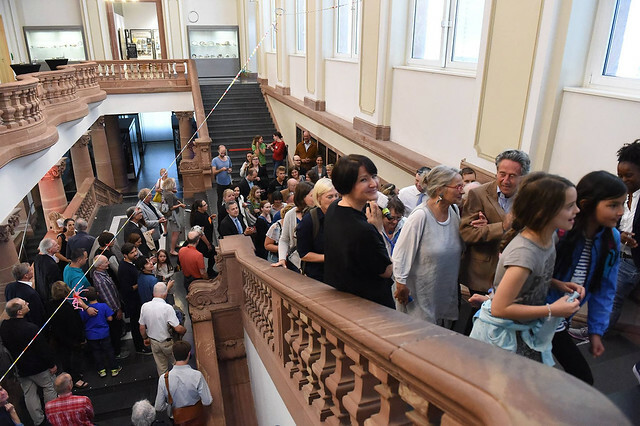 Many thanks to the staff at Senkenberg for their hard work for the successful opening and numerous arrangements for me, especially Peter Jäger, Thorolf Müller, Andrea Spiekermann, Alexandra Donecker and Sylvia-Meilin Weber! 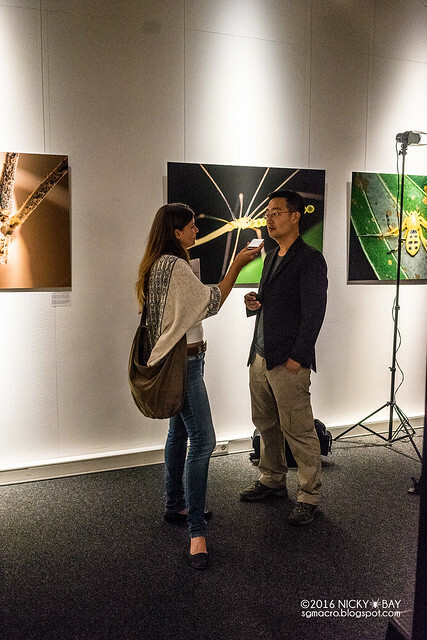 Special thanks to my wife for the support, for tolerating my numerous field trips and accompanying me to the opening! I was there on 14th July for the official opening where we had the press conference and panel discussions. Here are some photos and videos from the day's events! 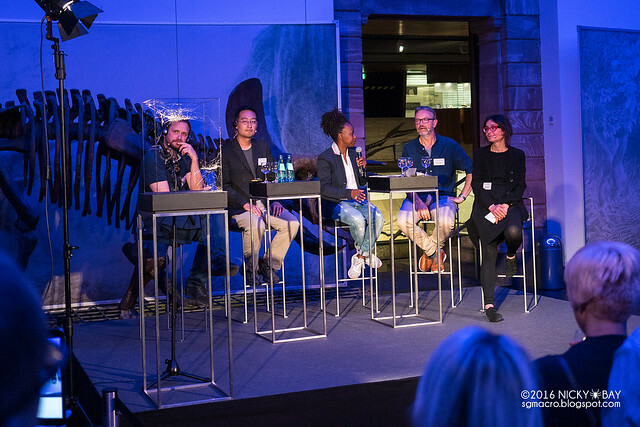 Photos from Adeline Tan and Senckenberg Museum. 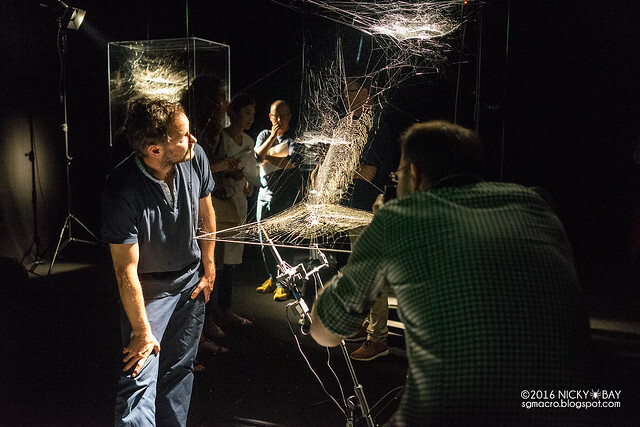 Includes interviews with the organizers, Tomás Saraceno and myself (dubbed in German). 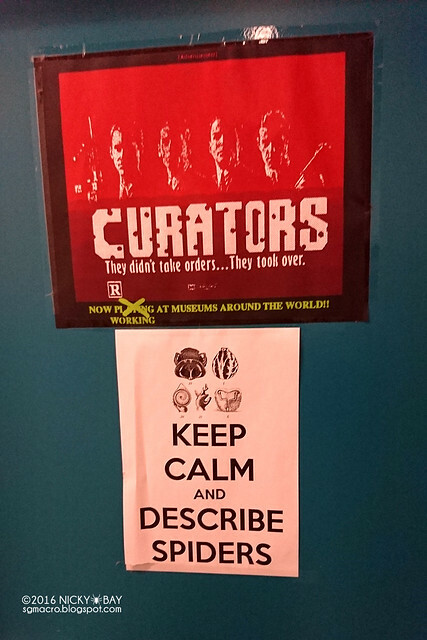 Despite his busy schedule, Peter gave us a tour of the spider collections and his office. I didn't take much pictures but here's his office door! Tomás posing for the reporters. 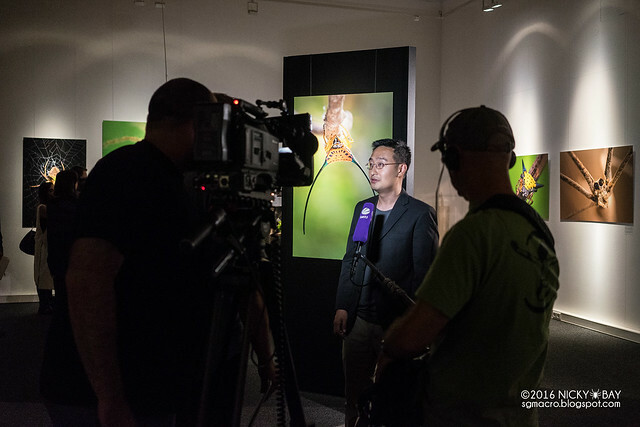 After the press conference, some of the reporters had some questions for me. Not sure which station this was, should have gotten a card! Scene of me looking at my photos. 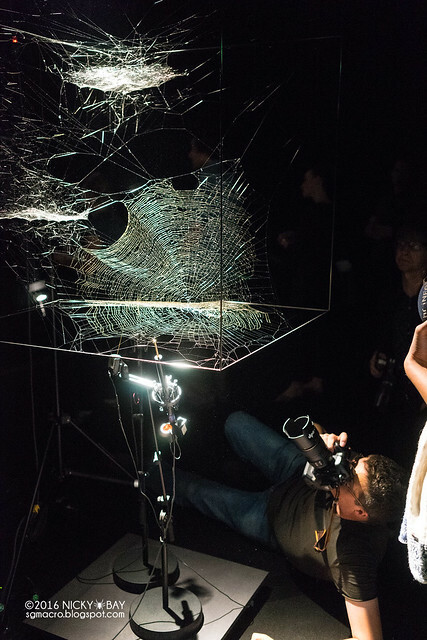 Combination of Cyrtophora and Nephila webs. 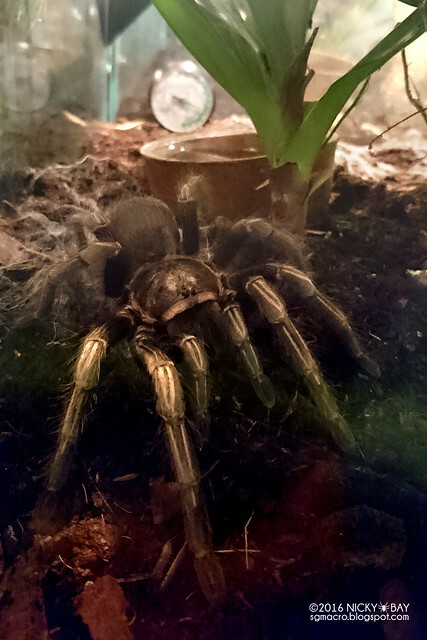 One of the many tarantulas on display, shot from my mobile phone through the glass. There are also a few scorpions with a UV display switch, some amblypygids as well as the infamous black widow spiders! I had a little bit of time before the panel discussions and roamed around the museum. 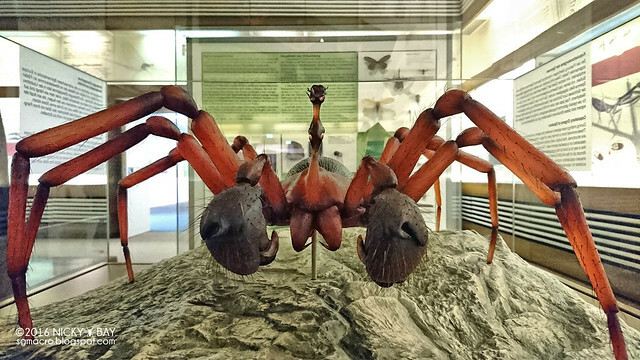 This is a model of a really bizarre male Walckenaeria acuminata with all its eyes on a single stalk! 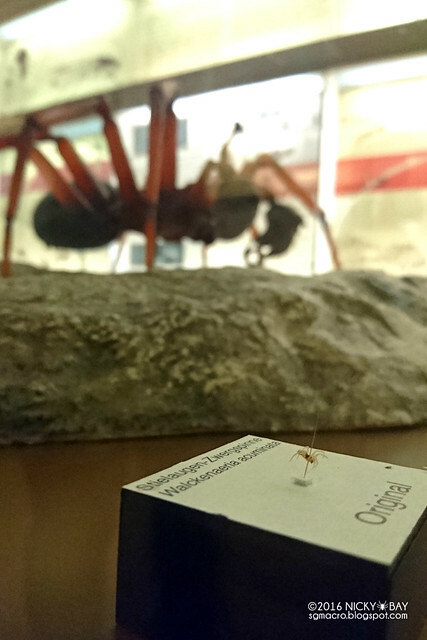 The actual specimen is really tiny, just about 4mm in size! There was an extensive collection of specimens on display. 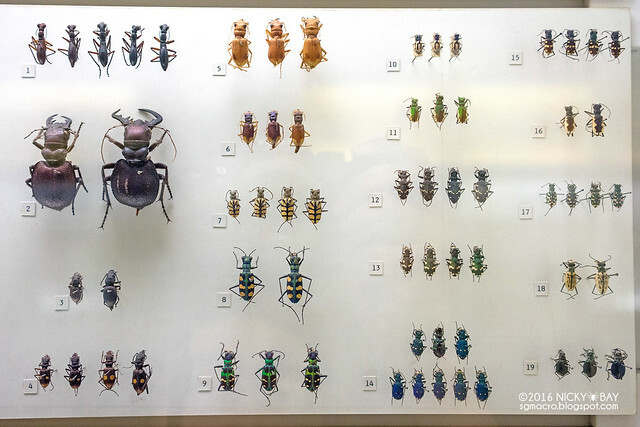 Here's the collection of tiger beetles. Too colourful to miss! 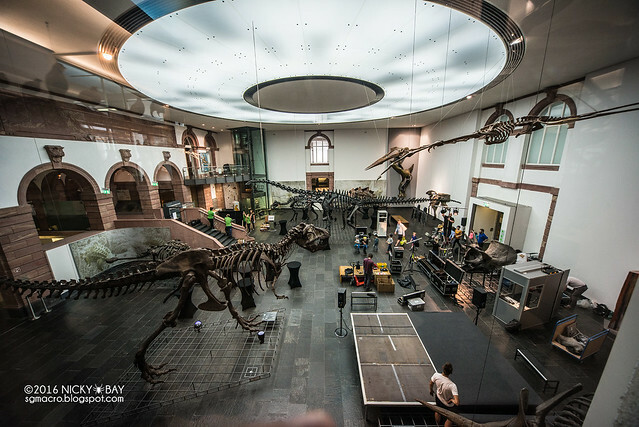 The museum staff were setting up the stage in front of the dinosaur exhibits. The crowds came in and we're live! 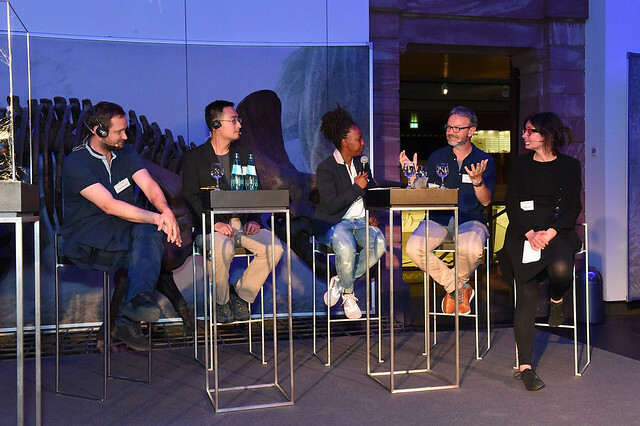 From the left: Tomás Saraceno, myself, Shary Reeves, Peter Jäger and Verena Kuni. Shary Reeves was the host and introduced each of us while sparking some discussions on spiders. Shary Reeves: "4 out of 5 housewives have a fear of spiders, what would you say about that Peter?" 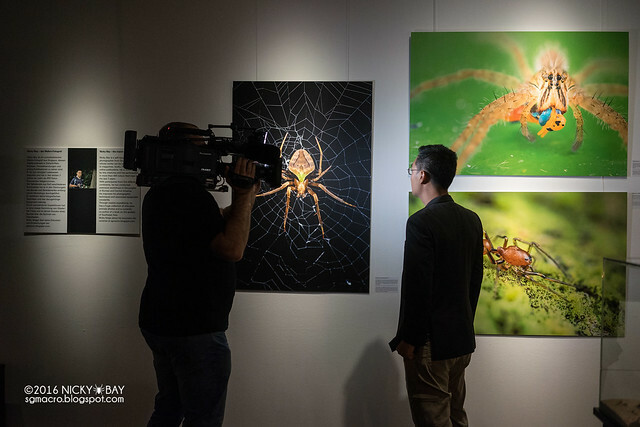 Peter Jäger: "9 out of 10 spiders have a fear of housewives!" 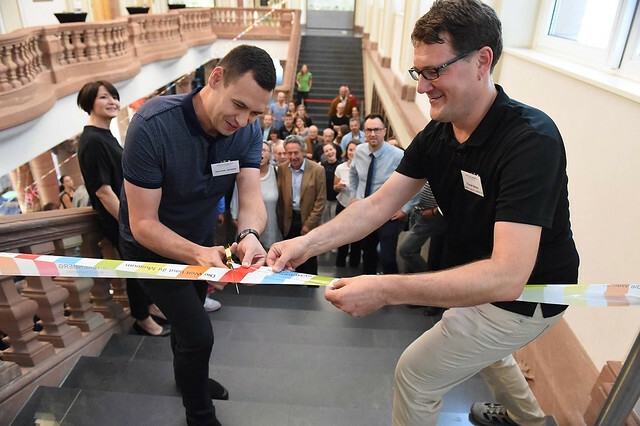 Dominik and Thorolf cutting the ribbon to release the crowds into the exhibition rooms. 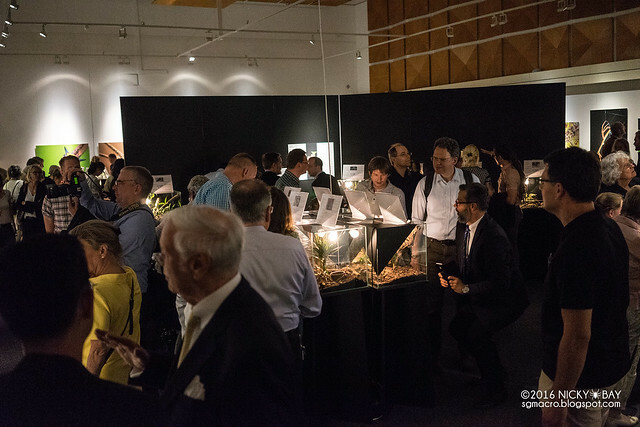 Visitors admiring the live specimens and photos. 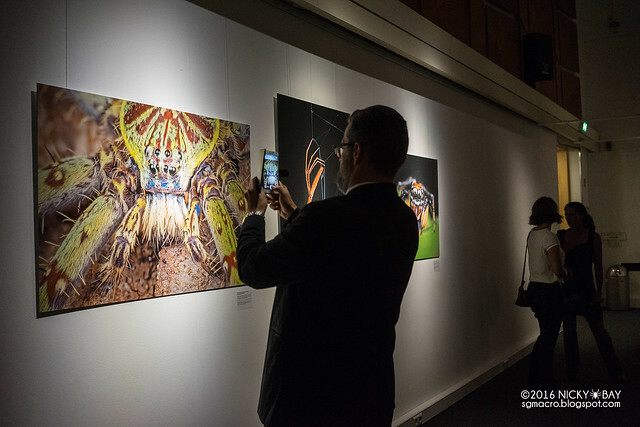 Some were taking photos of the photos. Probably to send to their friends? 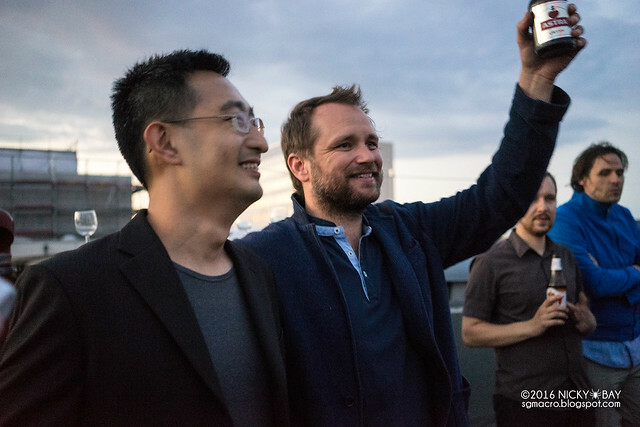 We adjourned to the museum's roof top for a party to celebrate the exhibition opening's success. The man who got us all together. 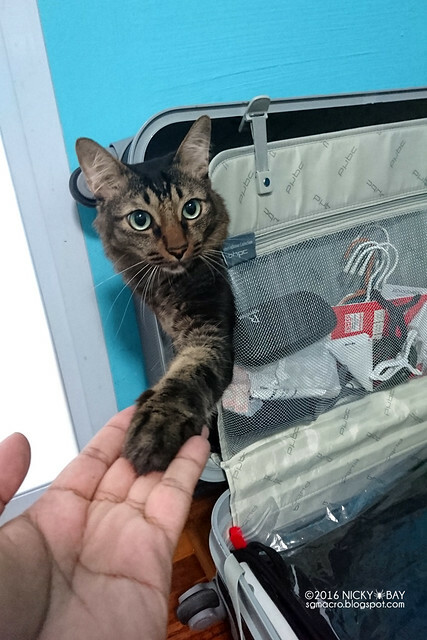 We had left our cats for 2 weeks, and the first thing the goofy Cola Bay did when we returned was to sneak into our luggage. A little bit too late to pack you in??? The exhibition will be open from 15th July 2016 to 8th January 2017. 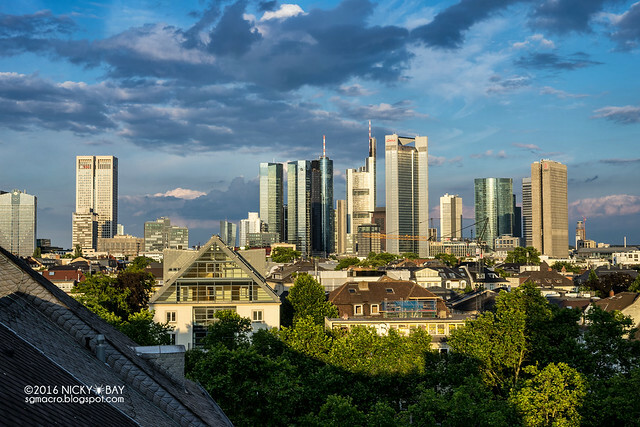 Senckenberg Natural History Museum is just 2 stops away on U4 from Frankfurt Hauptbahnhof to Bockenheimer Warte. 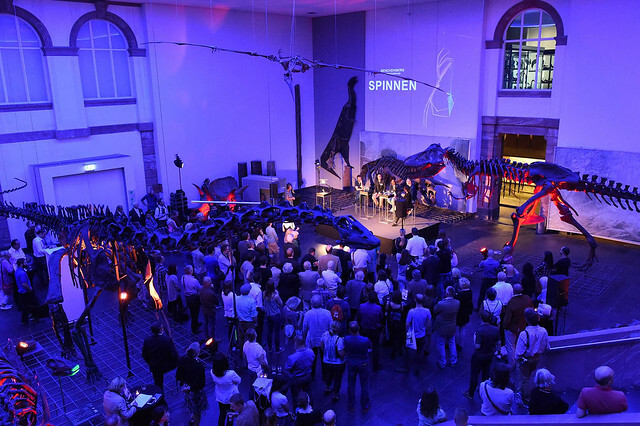 Please remember to check the museum's website for the directions and opening hours! If you are interested in licensing my work for exhibits or publishing, please contact me at nicky@bay.to. 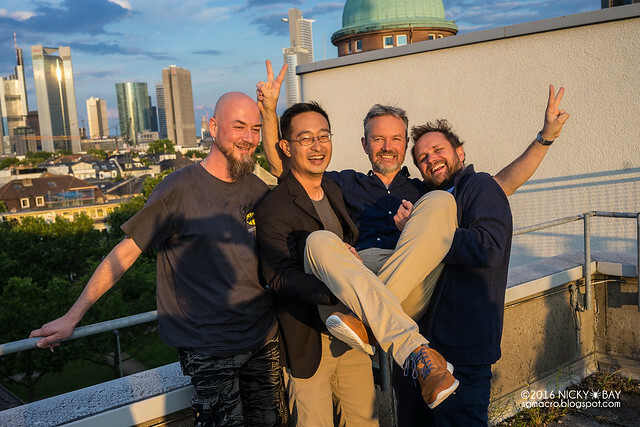 Here are some other reports in the media (all in German).